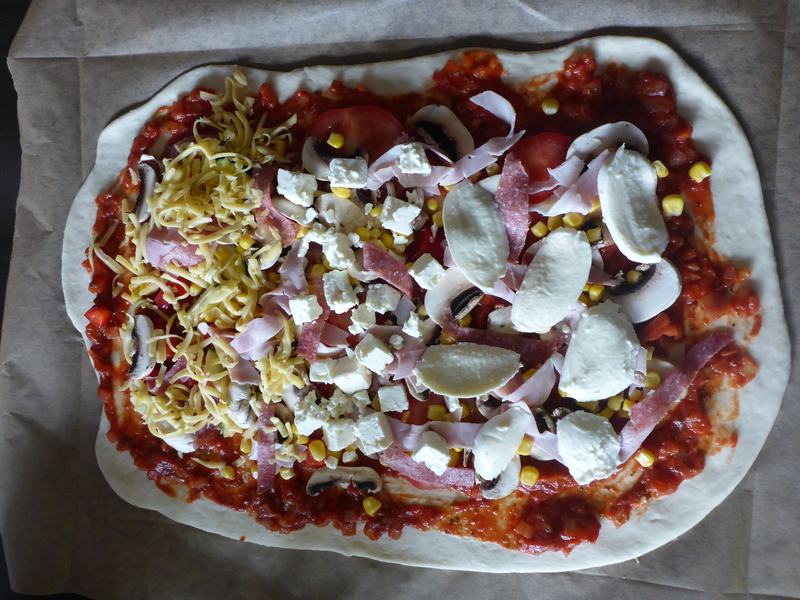 Pizza base - Eco? Bio? Freak! Kned the dough for at least 8 minutes. Put the dough back into the bowl, cover it and let it rest for at least 30minutes at a warm and draught free place, until the volume doubbled. Meanwhile prepare the sauce and the topping. Now split the dough in two pieces, strech it by a roling pin and place it on a bailled or covered with a baking sheet tray. Top with your choice and bake at 200°C until it’s browned till your liking.